Elwood Minus Hinshaw1,6 [Minus E. Hinshaw2,9,10]. Hinshaw, Minus E, head-of-household, age 26, born Sep 1873 in North Carolina; parents born in North Carolina; married 7 years; farmer. Hinshaw, Sarah A., wife, age 27, born Mar 1873 in North Carolina; parents born in North Carolina; married 7 years; 4 children, 2 living. Hinshaw, Velna, daughter, age 5, born Mar 1895 in North Carolina; parents born in North Carolina. Hinshaw, Bertie, daughter, age 2, born Jan 1898 in North Carolina; parents born in North Carolina. Hinshaw, Minus E., head-of-household, age 37, born in North Carolina; parents born in North Carolina; first marriage, married 17 years; occupation: farmer, general farm; owned farm (free). 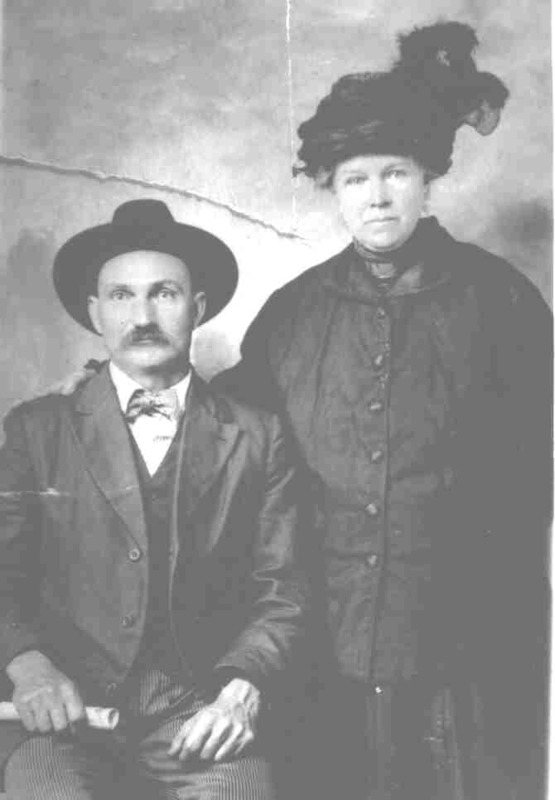 Hinshaw, [unclear], wife, age 37 [unclear], born in North Carolina; parents born in North Carolina; first marriage, married 17 years; 7 children, [..unclear..] living. Hinshaw, V[..unclear..], daughter, age 15, born in North Carolina; parents born in North Carolina. Hinshaw, Bert[..unclear..], daughter, age 12, born in North Carolina; parents born in North Carolina. Hinshaw, Mertle[unclear], daughter, age 9, born in North Carolina; parents born in North Carolina. Hinshaw, Alma A[unclear], daughter, age 7, born in North Carolina; parents born in North Carolina. Hinshaw, Robert E., son, age 6, born in North Carolina; parents born in North Carolina. Hinshaw, Roby M., son, age 4, born in North Carolina; parents born in North Carolina. Hinshaw, M. E., head-of-household, age 47, born in North Carolina; parents born in North Carolina; rented home; occupation: laborer, cotton mill. Hinshaw, Alice, wife, age 46, born in North Carolina; parents born in North Carolina; cannot read or write. Hinshaw, Robert, son, age 16, born in North Carolina; parents born in North Carolina; occupation: doffer, cotton mill. Hinshaw, Roby, son, age 14, born in North Carolina; parents born in North Carolina; occupation: doffer, cotton mill. Hinshaw, M. Elwood, head-of-household, age 56, born in North Carolina; parents born in North Carolina; widower; owned home ($1000 value); no radio in home; occupation: laborer, farm; not a veteran. Hinshaw, Roby M., son, age 23, born in North Carolina; parents born in North Carolina; first married at age 21; occupation: laborer, bridge work; not a veteran; cannot read or write. Hinshaw, Dora, daughter-in-law, age 27, born in North Carolina; parents born in North Carolina; first married at age 18. Hinshaw, Ruth, granddaughter, age 2, born in North Carolina; parents born in North Carolina. 1900 census, Franklinville Township, Randolph County, North Carolina; ED 87, page 120B, line #75, dwelling #157, family #164. 1910 census, Franklinville Township, Randolph County, North Carolina; roll T624-1128, ED 86, page 141B-142A, line #95, dwelling #93, family #94. Contribution from Deanna Buscema (). Contribution from Sue Aaron (). 1920 census, Franklinville Township, Randolph County, North Carolina; roll T625-1318, ED 104, page 12A, line #33, dwelling #229, family #229. 1930 census, Franklinville Township, Randolph County, North Carolina; roll T626-1715, ED 15, page 21A, line #17, dwelling #3, family #5. 1880 LDS census index, Franklinsville Township, Randolph County, North Carolina; roll T9-0978, page 98C. 1910 census, Franklinville Township, Randolph County, North Carolina; roll T624-1128, ED 86, page 141B, line #92, dwelling #92, family #93. 1910 census, Franklinville Township, Randolph County, North Carolina; roll T624-1128, ED 86, page 142A, line #3, dwelling #94, family #95. 1930 census, Franklinville Township, Randolph County, North Carolina; roll T626-1715, ED 15, page 21A, line #38, dwelling #7, family #10-11. Photo courtesy of Sue Aaron ().